The most prominent initiatives to reducing commodity-driven deforestation are REDD+ programs, jurisdictional approaches, and private sector commitments (hereby referred to as “the elements”). These initiatives are stronger and more likely to succeed if they complement each other in a region. The trifecta jurisdictions that this article identified possess the greatest potential to accelerate action to reduce commodity-driven deforestation. The analysis found 13 trifecta jurisdictions and six “bifecta” jurisdictions (areas where two of the three elements are present). These jurisdictions are located in Latin America, Asia, and Africa. They are mostly federal, although some operate at the subnational level. Assessing the performance of trifecta jurisdictions is challenging. It is difficult to compare commodity-driven deforestation reduction from one area to another. However, looking at a case study helps demonstrate the benefits of having all three elements present. REDD+ program: The Mato Grosso state government passed a law to create a state REDD+ system in 2013, which was used to secure a results-based payment agreement with the REDD Early Movers program in 2017. In addition, Mato Grosso adheres to the national REDD+ strategy and Forest Reference Emission Level data that the Brazilian government submitted to the UNFCCC REDD+ platform. Jurisdictional approach: In 2015, Mato Grosso’s governor launched the Produce, Conserve, Include strategy (PCI) to avoid over 6 gigatons of emissions by 2030. The multi-stakeholder, jurisdictional level approach aims to restore six million hectares of degraded pastures, reduce deforestation by at least 90%, increase agricultural production, and include benefits for smallholders and indigenous communities. Private sector action: Companies like Amaggi, Marfrig and Carrefour have been active in the creation and implementation of the PCI. Corporate engagement can include: engaging in sustainable sourcing agreements; providing technical or financial support to projects that aim to advance PCI goals; and/or voicing support for the PCI process to state and local government. These actions not only reduce deforestation, they also promote increased productivity. 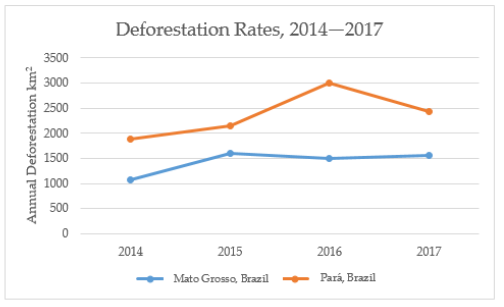 Mato Grosso has reduced deforestation to a greater extent than neighboring Pará state, which faces similar drivers of deforestation (see graph below). Mato Grosso was also able to increase agricultural production. Starting in 2015, when all three elements were in effect (REDD+ program, jurisdictional approach, and private sector action), Mato Grosso reduced annual deforestation by 2.5%, while deforestation rates in the neighboring state of Pará jumped by 13%. The study authors conducted a desk review, compiling all REDD+, jurisdictional approach, and private sector initiatives underway at the time. The authors then assessed each according to specific criteria, and categorized them as trifecta or bifecta jurisdictions. 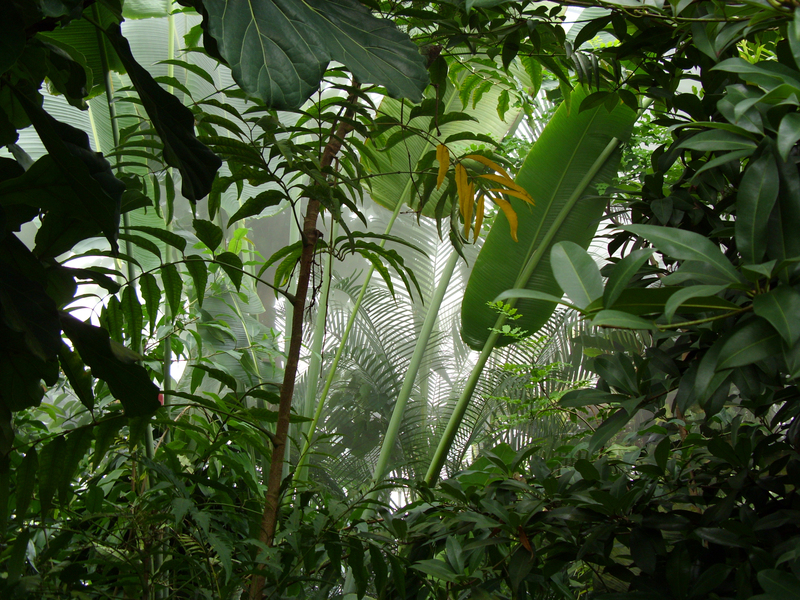 Many of these initiatives are new and data on their impact on deforestation is limited. That’s why this article did not set out to evaluate the extent or nature of alignment between the elements. Rather, it set out to determine where these elements are aligning. The trifecta jurisdictions that this article identified possess the greatest potential to accelerate action to reduce commodity-driven deforestation. To harness this potential, however, public and private sector actors alike need to focus their implementation efforts in these jurisdictions. They also need to provide support to the elements, especially to jurisdictional approach platforms established to support coordination between multiple sectors. Only through collaboration and alignment will efforts to reduce commodity-driven deforestation succeed. This entry was posted in Agriculture, Brazil, Forest protection, International, REDD+. Bookmark the permalink. Both comments and trackbacks are currently closed.